Hold on to your brackets, because we are now down to our Sweet 16 in The 2018 NCAA College Basketball Championship! 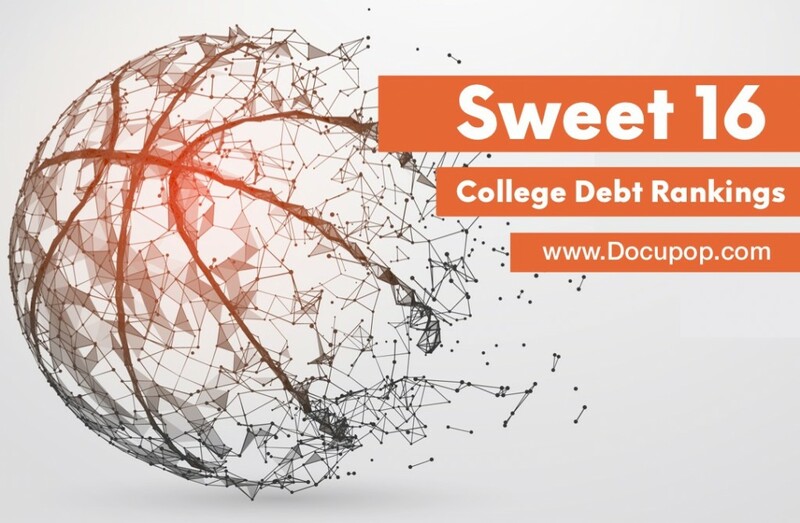 Folks around the nation are glued to their screens watching some of the biggest wins, loses and upsets in college basketball history! 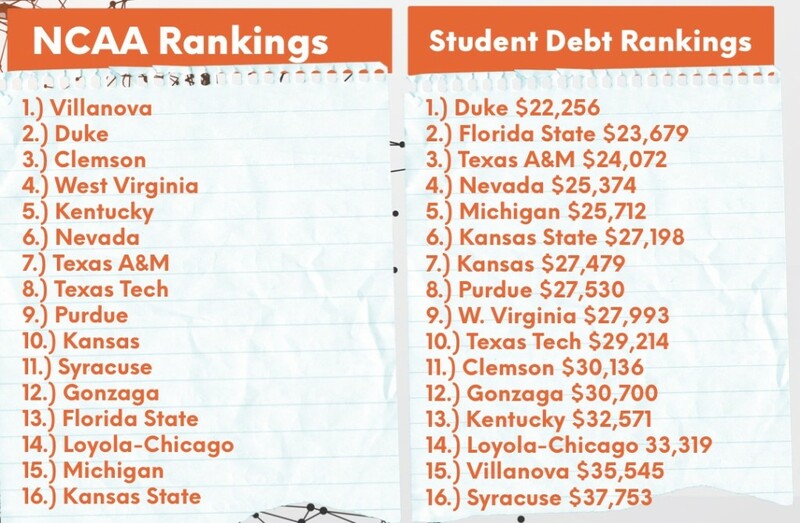 Whether it’s alumni, location, or simply basketball fandom that keeps you loyal, we thought it would be pretty cool to pull the rankings on another giant aspect of college – the amount of loan debt their students tend to rack up while training for that big degree. Sure, your fav might have one of the top seats now – and heck, they may even come out as the #1 team in the country; but to find out who the real financial winners and losers are, see below for Docupop’s official student loan debt rankings for America’s Sweet 16 line-up. ← Why Should You Learn Hadoop?